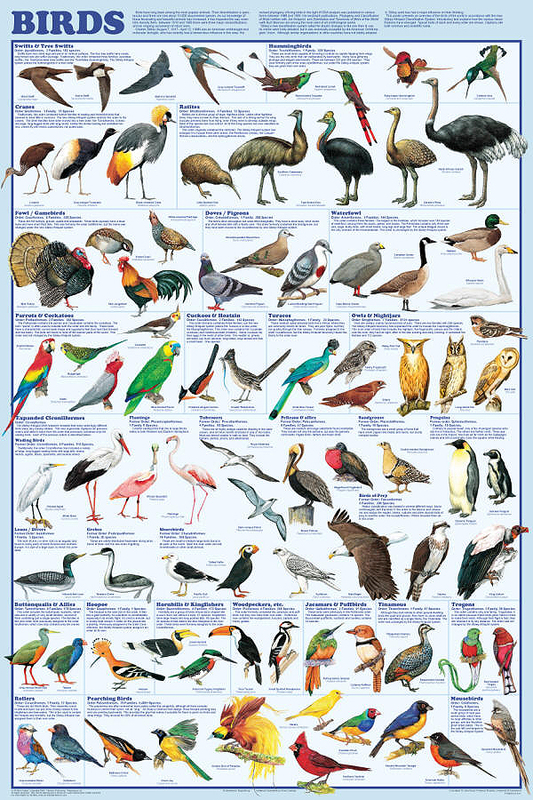 This is an especially important poster because it presents the new Sibley-Ahlquist bird classification system. Based on recent DNA studies, it uses cladistics to reconstruct the evolutionary family tree. Who would have thought that birds as diverse as flamingos, eagles and penguins would end up in the same clade? However, this revolutionary new system has been widely accepted by North American ornithologists, and has made the previous bird classification system obsolete. 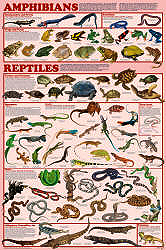 Although this poster shows true clades, the scientific community continues to use the order names, which are cited. 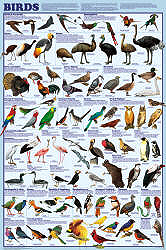 This is one of the four posters in our vertebrate orders set. 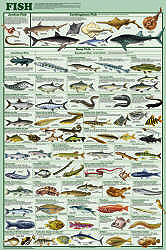 They provides a comprehensive overview of the living vertebrates. 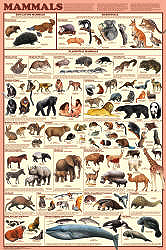 Animal life is now undergoing the transition from the Linnaeus classification system to the new cladistic classification system. Birds have been reclassified under the new system. There have been many systems proposed for the other animals, but none has been widely accepted. This required that the posters present the animals in the context of their existing Linnaeus orders. Each of these posters present all of the orders within the group. There are so many marsupials and cartilaginous fish that they are presented as super orders. 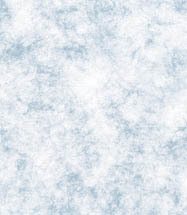 Each order is introduced by the common name or names (such as whales, dolphins and porpoises), followed by the biological name (Cetacea), the number of species, and a brief description. A great many representational animals are beautifully shown, all identified by both common and biological names.